Spring might seem an age away. It is raining and doesn’t feel like spring at all but planning for my garden in spring is a bit of a boost because it means thinking about the wonders of spring bulbs. Seem like a good idea to you? 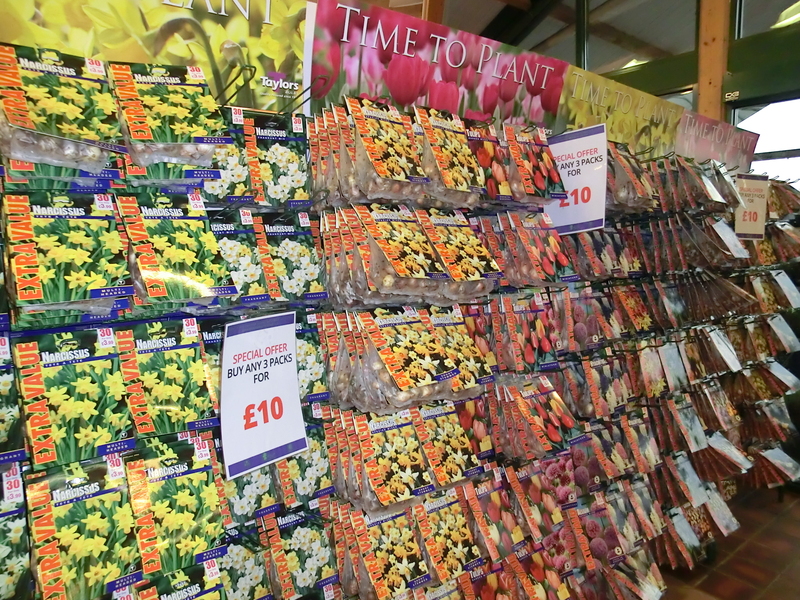 Garden centres are showing a dazzling array of bulbs and options for spring colour and scent. The RHS reckons that spring bulbs can be some of the most rewarding garden flowers, with some varieties offering quick and wonderful results. What’s to stop you? Another of our blogs encouraged you to plant bulbs in pots and now is the time to go for a bigger canvas! Choose the flowers you want, and which will suit your patch. Among spring bulbs, perhaps daffodils are the flower we long to see after winter: bright and golden, with a real feel of spring. There are hundreds of varieties to choose from – miniature to giant, gold to white and even pink. Crocuses are my favourite spring bulbs. Small but bold, and bees love them for their early pollen. Again, a huge range to choose from in different colours and flower sizes. I love those with fragile pale mauve blooms that seem almost too frail for the weather but carry on regardless. Few of us have the chance to create vast carpets like these in Sunderland, but a carpet in a small space can work wonders for morale on a cold spring day – try some! And then there are winter aconites. Once established, these little jewels can create a carpet of flowers like a field of gold. Cyclamen aren’t a bulb (they are a corm) but are for sale now and, if you have a place for them, I recommend their sturdy little flowers as a great spring boost. Autumn varieties of cyclamen flower about now. These are different varieties that like being planted when they are in growth rather than dormant. Hyacinths and tulips are next in the spring bulbs popularity stakes, but don’t plant these until October or November. Decide now where you want to enjoy them, buy them and keep cool and dry until it is time to plant them. What about snowdrops? These little wonders do best when planted after they have flowered (it is called planting them ‘in the green’) so decide where you want to see them, and wait until the spring to buy and plant. 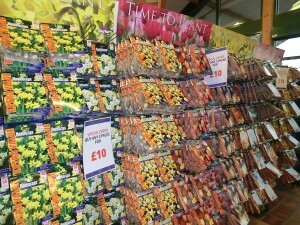 There are plenty more spring bulbs to choose from. What do you fancy? Thompson & Morgan’s top ten offers more ideas, and there are more varieties waiting for you. Choose spring bulbs that suit different parts of your garden: read the labels for good information. Aconites do well in shady areas, under shrubs or trees. Miniature daffodils or narcissi and tiny iris reticulata look great in rockeries and at the front of borders. Drifts of different coloured crocus in lawns, under trees and in flower beds all look stunning. Grape hyacinth like drier soils and do well on the edges of paths. They can be invasive but their blue is, well, so blue it is worth it. Snakeshead fritillary are so pretty but hard to grow without damp and undisturbed soil – I have tried often and not succeeded but enjoy memories of a shady, water’s edge garden in Herefordshire with masses in full bloom. Buy the plumpest and firmest bulbs in your choice of variety. Don’t buy damaged bulbs. Bulbs showing small green shoots are OK: they have just started growing early, but don’t buy any with long spindly shoots. Be firm, and clear out summer bedding plants that will not last the winter and trim back perennials. If your garden compost is ready to use, fork some into the bare soil. If you are planting under trees or shrubs it is hard to do more than remove weeds, but do that. And before you plan to plant in grass, be sure you can easily mow around the bulbs from about November until six weeks after they have flowered. Read the labels and plant bulbs at the depth they need and where they like to grow. A rule of thumb is to plant a bulb at a depth three times its size – small bulbs are planted less deeply than large ones, and large ones need a good deep hole. To create informal drifts of flowers, lightly throw a handful where you want them. 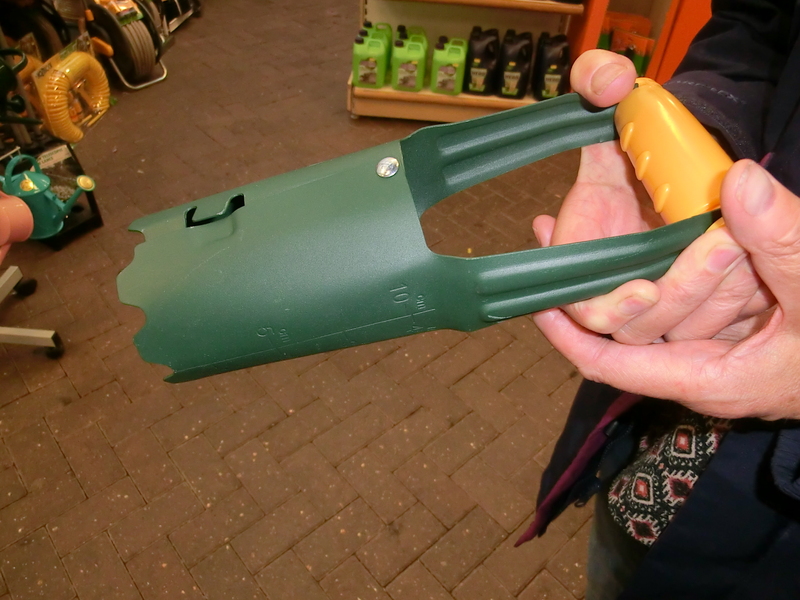 Use a good trowel or, if you have lots to plant invest in a bulb planter that looks like a shark with ‘jaws’ that open and close, to make holes at the depth you need. On heavy (clay) soils and soils that tend to be very damp, put a small handful of grit or small gravel at the bottom of each hole to improve drainage. Pop a bulb in each hole, cover with soil and firm down, and move on to the next one. For a more formal look or a dense block of colour, use the edge of a trowel to mark the shape or line you want to achieve, dig or make one hole for each bulb and off you go. Bulbs in rockeries often like, and look good, in a sunny spot and benefit from some basic fertiliser in the hole where you plant them. So, what will you see in your spring garden?